Huynh Thi Thu Thuy is a Senior Associate at Rajah & Tann LCT Lawyers, practising in the firm’s Corporate and M&A and Banking & Finance practice groups. Thuy obtained her Bachelor of Laws in Vietnam and her Master of Laws at La Trobe University in Melbourne. Thuy specialises in M&A and financial transactions, and she has advised clients from a broad spectrum of industries, including banking, insurance, construction and consumer goods. Her multi-sectorial experience allows her to provide solutions that not only untangle complex Vietnamese regulations, but that are also commercially sound. She is capable in assisting in all key stages of M&A transactions – from due diligence to structuring to high-level negotiations. Thuy also actively practice in employment and general corporate and commercial matters. She is experienced in corporate restructurings, and has covered the corporate and employment aspects of such transactions for multinational companies. 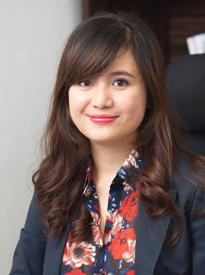 Prior to joining Rajah & Tann LCT Lawyers, Thuy worked at one of Vietnam’s largest law firms, with a focus on M&A transactions and general corporate advisory. Assisted one of the largest tourism and hospitality groups in Asia in its joint venture with Vietnam’s largest privately owned conglomerate for the development of a USD 2+ billion casino and resort project in Vietnam. Advised Koninklijke Philips on its global restructuring at the onshore Vietnam level. Advised a Japanese investor on its strategic equity acquisition of a Vietnamese foodstuffs manufacturer. Advised BNP Paribas on its planned investment in a Vietnamese bank. Advised Viettel in its majority acquisition of a Vietnamese cement manufacturer. Advised a Japanese company in its share acquisition of a Vietnamese bitumen distribution company. Advised on the restructuring of Cyprus Corporation in Vietnam. Assisted the Bank of Tokyo-Mitsubishi UJF on its USD 120 million loans to two leading real estate developers in Vietnam. Advised Maybank on the grant of a cross-border secured term loan and revolving credit facility to a foreign-invested Vietnamese borrower. Advised DBS Bank (Vietnam) on various regulatory and compliance matters in relation to its Vietnam operations. Advised on licensing matters for the operation of BNP Paribas’ Ho Chi Minh City branch. Advised and drafted the suite of loan documentation for a Taiwanese commercial bank. Advised a Singapore bank on Vietnamese gold trading restrictions. Advised a Korean company in Vietnam on offshore remittance of profits. Advised the Consulate-General of the Republic of Singapore on general compliance and regulatory issues in Vietnam. Advised Grabtaxi on the set-up and consolidation of its operations in Vietnam. Advised multinational clients, including Towers Watson, Marks & Spencer, ICOF, Menarini, Robert Walters, Institute of International Education (IIE) and Wipro on various employment matters.